Luís F. López-Calva is Lead Economist and Regional Poverty Advisor in the Europe and Central Asia Region at The World Bank (Poverty Reduction and Economic Management Sector). Until recently he was at the Poverty, Equity and Gender Unit in the Latin America and Caribbean PREM Directorate, also at The World Bank. He served as Chief Economist for Latin America and the Caribbean at UNDP in New York from 2007 to 2010. He has been a Visiting Scholar at the Stanford Center for International Development at Stanford University and at the World Institute for Development Economics Research (WIDER). 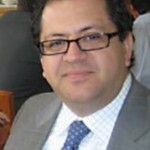 In Mexico, he was Associate Professor and Chair of the Masters in Public Economics at Tecnológico de Monterrey, Mexico City Campus. López-Calva has also taught at Universidad de la Américas, Puebla and El Colegio de México. He is a Fellow of the Human Development and Capabilities Association and is Associate Editor of the Journal of Human Development and Capabilities and Well-being and Social Policy. 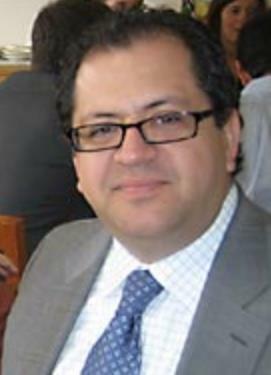 López-Calva has Masters in Economics from Boston University, and a Masters and PhD in Economics from Cornell University. His publications and research interests focus on labor markets, poverty and inequality, institutions and development economics. His work shows more than 1,200 academic citations according to Google Scholar and Social Science Citation Index.